Protecting Kentucky's families and the values that make them strong. Advocate for life. . . wherever you drive. 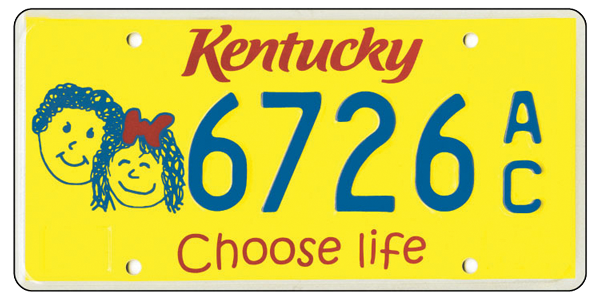 AND $10.00 of the registration and renewal fee is donated to KY’s pregnancy help centers. To revitalize marriage in Kentucky to the end that more couples choose to get and stay married, so that every child is afforded the opportunity of growing up in a home with both a mother and a father. No endorsements or spin. . . We bring you their own words, so you’re the one that decides. Tracking President Trump’s judicial nominees and the confirmation process. Our national ally and the public policy partner of Focus on the Family. A global Christian ministry dedicated to helping families thrive. They provide a number of reqources for couples and parents.